While some of his contemporaries have been grabbing the headlines, Jeremy Pelt has been quietly amassing an impressive and diverse résumé consisting of some of the more compelling jazz performances of this brief century. Though his recorded performances have mostly leaned toward the mainstream, Pelt has of late begun to delve into the fusion side of his persona with musically satisfying results. I always get the sense that Mr. Pelt is seeking; looking to bring a fresh perspective to his projects. As look back at his catalog as a leader, which now stands at a dozen albums, I realized that each of his records was in some way different from the last. And his latest album, Face Forward, Jeremy is no exception. This album can be considered a sequel of sorts to Pelt’s prior release, the moodily gorgeous Water and Earth. The same musicians appear on both albums and in each case David Bryant’s dreamy Fender Rhodes is a centerpiece; serving as an atmospheric foil for Pelt’s trumpet and Dana Hawkins’ complex rhythmic patterns. Mr. Pelt states that one of his biggest influences for this album was Herbie Hancock’s Mwandishi recordings of the early ‘70’s, which would also explain the prominence of the electronic keyboards. But whereas the group seemed at times to be finding its way on Water and Earth, their performances on Face Forward, Jeremy are more confident. They have played together for a while as a unit and they are certain of what they want this music to sound like. Among the cuts that I have revisited numerous times are “Stars Are Free”, which brings bassist Chris Smith to the fore for some strong Jaco-like fretwork, supported by guest star Frank LoCrasto’s insistent comping on the Rhodes, which then slides into a fleet fingered solo. “Princess Charlie”, dedicated to Pelt’s two-year old daughter, has a distinct Brazilian influence, a hummable melody line that will stick with you long after the track is done, tasty solos by Mr. Pelt and Roxy Coss on soprano sax and a Flora Purim-like wordless vocal from Fabiana Masili. In fact, I loved both of Ms. Masili’s appearances on the disc, the other being “Rastros”, a brief track of quiet beauty, which in addition to Ms. Masili, is elevated by Jennifer Shaw’s cello and the support of the finest jazz harpist working today, Brandee Younger. “The Calm Before The Storm”, a Coss composition, will grab you, starting with a soulfully compelling bass line (Chris Smith is one bad cat), with Bryant’s Rhodes layered on top, before Pelt and Coss (on tenor) hit us with a sharp melody statement and brief but rich solos. The leader’s showpiece however is “Glimpse” an uptempo romp that gives Pelt plenty of room to blow; and he does, demonstrating that a great trumpet solo doesn’t need flashy pyrotechnics, just an inspired musician with numerous ideas. Ms. Coss follows the leader with a strong tenor statement of her own. I haven’t heard her yet outside of Pelt’s group but I like Roxy Coss. She has already developed her own voice on her horns and she sounds like she is just beginning to put it to excellent use. 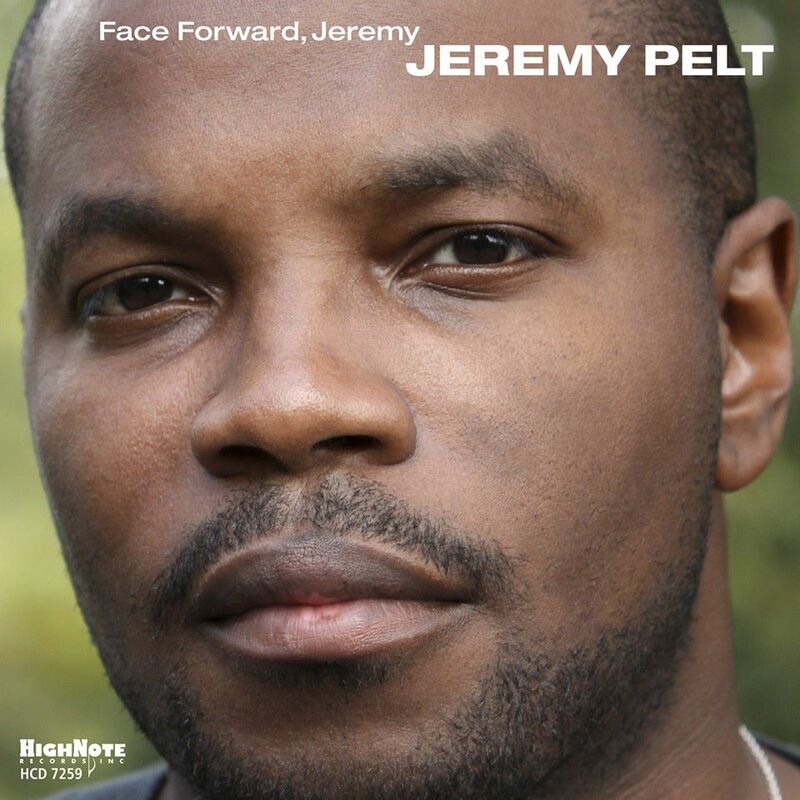 Though Jeremy Pelt has found a nice groove with his fusion group and turned out a very good album here, I get the feeling that we’ll hear something different from him next time. I hope so because that kind of restless creativity will help Pelt and those of his generation to keep jazz alive and relevant.